AltaLink Power Line Kills More Birds – Update | R.E.T.A. 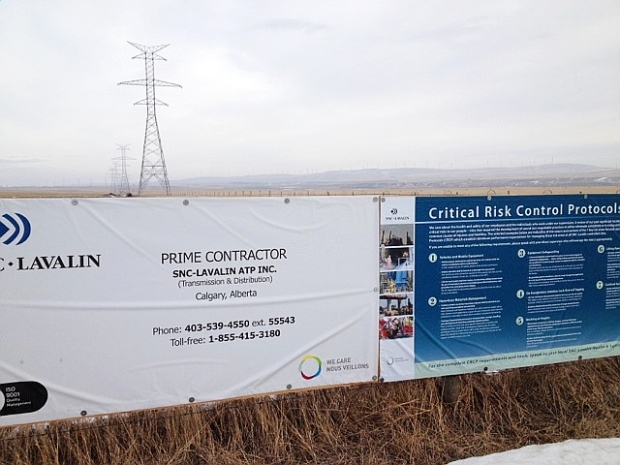 About 100 more birds have been found killed by AltaLink’s new high voltage power line near Pincher Creek (Calgary Herald). The birds were found last week by an AltaLink contractor. This most recent report follows closely on the heels of an investigation that found 345 dead birds in the same area that were killed by the same power line over an extended period of time between November and early January. In both cases, the majority of the birds killed were ducks. Local retired research scientist David McIntyre is concerned and said these bird deaths are more common than are being revealed to the public. He said the most troubling issue is that the overhead line was built in the area in the first place. AltaLink appears to be trying to blame these most recent bird deaths on a major weather event, as they did with the first 345 birds killed. This time they are also investigating “the eagles and their ability to, for lack of a better word, frighten the ducks into a particular situation,” said an AltaLink public relations spokesperson. AltaLink also said they are installing larger diverters that should help deflect the birds. The fact is, AltaLink does not want to admit that their new line was built in a totally inappropriate location and that birds will continue to kill themselves crashing into their lines and towers at this site. As well, transmission companies like AltaLink have been espousing the benefits of bird diversion techniques for years, but results to date have been questionable and of very limited success. As has been suggested earlier, the line should have been buried, if indeed the line was necessary in the first place. As the Pincher Creek Echo recently pointed out, other corporations have been fined for killing birds. For example, Syncrude was fined $3.2 million in 2010 for killing at least 1,600 waterfowl in their Fort McMurray tar sands tailings ponds in 2008. Based on the death toll to date of birds killed by the new Pincher Creek high voltage line, AltaLink is clearly in violation of the federal Migratory Birds Convention Act which prohibits the killing or destroying of migratory birds. Waterfowl, such as those killed by AltaLink, are migratory bird species. AltaLink should be charged and fined accordingly. For more information on the history of this particular tragedy, see this link. See this Fact Sheet for more information on bird deaths, in general, caused by overhead high voltage power lines. This link provides information on the benefits of burying high voltage lines. ~ by RETA on March 1, 2014.